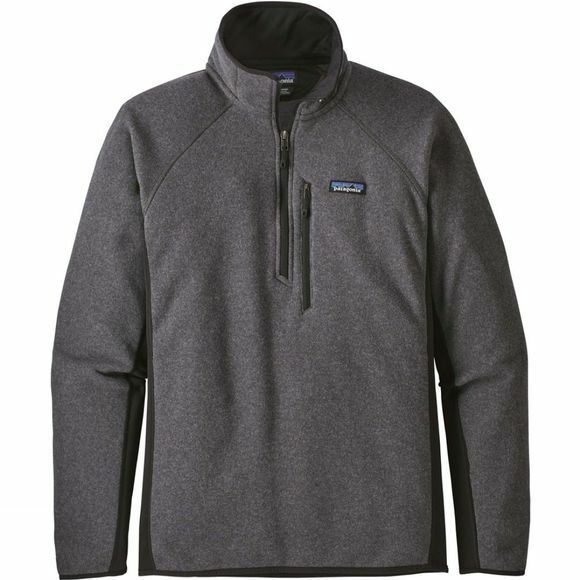 The Mens Performance Better Sweater 1/4 Zip from Patagonia is ideal for those looking for more performance from their gear. Wear it under a shell or as a soft, fleecy interior that can be layered or worn next to the skin. To help reduce impact for the environment, it is made with a low-impact process to reduce the use of dyestuffs, energy and water compared to conventional dyeing methods. With the security pocket, you can keep your essentials safe during your activities.